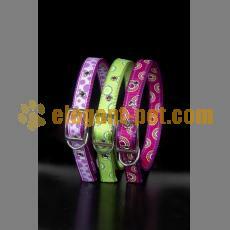 Your dog can show her style with this designer dog collar. Handcrafted and featuring solid brass hardware and weatherproof nylon buckles, these dog collars are both practical and stylish. 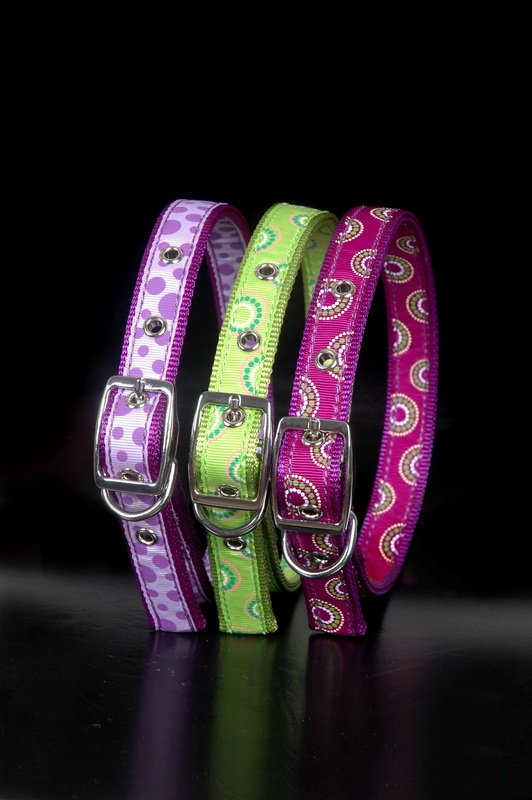 The Fashion Forward dog collar has it all - grace, style, and reliability.